How Much Light Should Your Goldfish Get Daily? Goldfish need light to retain their color. Unlike some other fish, goldfish don't require ultraviolet light, and may not need a heat light because they live in cool water. However, light still plays an important role in goldfish health, and without a daily and consistent light cycle, your goldfish may become ill. 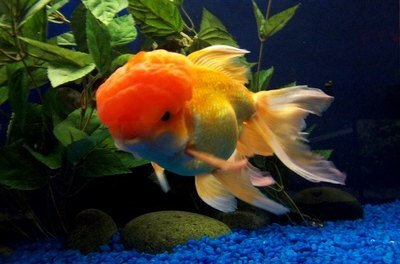 In the wild, goldfish live in cool rivers, lakes and streams where they have regular access to relatively bright light. In captivity, their light cycle should mimic the lighting of their natural environment. Give your goldfish 12 to 13 hours of moderately bright -- but not hot -- light daily. Lighting noticeably and quickly affects your goldfish's color. 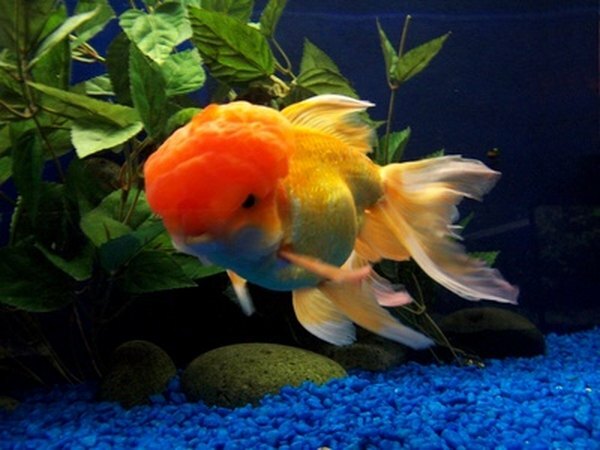 Without sufficient light, a goldfish will not be brightly colored and may ultimately turn very pale or even white. Lighting also helps your goldfish regulate his sleep/wake cycle, can affect his motivation to eat and will ensure he doesn't develop behavior problems caused by an unnatural or unpredictable environment. Too much light won't immediately harm your goldfish, but over time can make it difficult for him to regulate his daily schedule, leading to feeding and sleeping problems. Excessive lighting, however, can quickly alter the chemistry in your aquarium by encouraging the overgrowth of algae. Too much algae can compete with other plants in the aquarium and provide a breeding ground for parasites. It may also cloud the tank water. The simplest lighting solution is a light built into an aquarium hood. The hood keeps the fish from jumping out and the light doesn't produce much heat. Clamp lamps may also work, though you must make sure they are strongly secured to the tank to avoid a fire hazard. Place the lights on a timer to ensure your goldfish has a regular lighting schedule. Outdoor goldfish do not need artificial lighting unless you live in an area with very short days. What Causes a Betta to Lay on Its Side? What Other Species Can a Cichlid Live With? Should I Turn My Fish Aquarium Light Off at Night?